The UK news today is dominated by a meeting between the UK prime minister and the Scottish first minister about the possibility of Scotland declaring independence. There is much talk of the 1707 Act of Union, and of James VI/I, but in fact the first union between the English and the Scots was negotiated right here in Cumbria on 12thJuly, 927CE. At this point in history, it wasn’t about England, Scotland, Ireland and Wales. There was Mercia and Wessex; Northumbria and Dublin; Strathclyde and Cumbria; the Scots; various Welsh provinces and a whole lot more. There was no concept of a combined Britain, never mind UK. The man to change all this was the saxon king Athelstan. 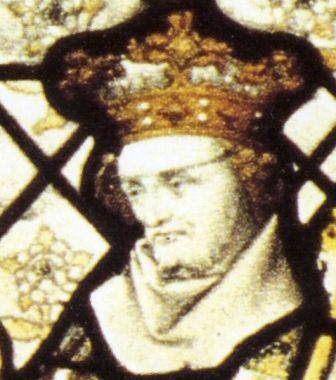 Grandson of King Alfred the Great (who burned the cakes) and son of Edward the Elder, Athelstan achieved a messy succession to his father’s kingdoms of Mercia and Wessex in southern and central England in 924/5CE. Perhaps it was his difficulties here which made him ambitious, or nervous, about his northern neighbours; within a year, he’d arranged the marriage of his sister Eadgyth to Sihtric Cáech, the viking king of Northumbria, and converted him to christianity. But Athelstan’s cunning plan didn’t quite go as he hoped as Sihtric renounced both his wife and his new religion soon afterwards. Things started to look better for Athelstan when Sihtric died within a year, and his heirs fled north. Athelstan claimed Northumbria for himself.It’s easy to imagine how that went down with Northumbria’s neighbours to the north and west. Records are poor for this period, but it seems that the northern and western rulers agreed to sign a peace treaty with Athelstan at Eamont Bridge in 927CE. They pledged not to support non-christian kingdoms, which meant they couldn’t ally with the vikings who still held or claimed kingdoms in Northumbria, York and Dublin. The signatories included King Owain of Strathclyde and Cumbria, Constantine, King of the Scots, Hywel Dda of Deheubarth (southwest Wales) and Ealdred, a noble from Bamburgh. They met by the River Eamont, in central eastern Cumbria, on the pre-1974 Cumberland and Westmorland border and the southernmost edge of Owain’s territory. There’s some debate about the exact location, with suggestions it might have been at the monastery at Dacre or the Roman site at Brougham but it seems most likely that it took place at the ancient crossing place or pen rhyd at the village of Eamont Bridge, a mile to the south of Penrith. Eamont Bridge is a strange place these days, a little left behind by modern development despite a rash of new housing. It has a main street with 17th and 18th century cottages fronting closely onto the main A6 through the Eden Valley; its recent history as a refreshment stop for the coaching trade is apparent in pubs too large for this small settlement. There’s a busy mini roundabout where the tourist traffic hangs a left towards Ullswater, then the remaining cars are funnelled over the narrow bridge at the northern edge of the village. Up the slope there is a large, busy roundabout with the A66, and a hideous modern fried chicken place that marks the edge of Penrith. But Eamont Bridge has the most illustrious and ancient of histories, with several prehistoric sites. The fields to the left before the Ullswater turning are, in fact, a pair of impressive Scheduled Ancient Monuments. Mayburgh Henge is a 117m-diameter neolithic or Bronze Age earthwork with a 6.5m bank and a single massive monolith nearly 2m high. Right next door is King Arthur’s Round Table – which has absolutely nothing to do with King Arthur! – a 90m-diameter neolithic henge which once had several standing stones. A third henge to the south was destroyed in the 19th century. Today, Eamont Bridge may be the last set of traffic lights before Penrith. 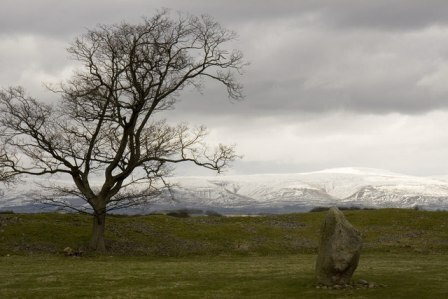 In the prehistoric period, it was probably the biggest ceremonial complex in Cumbria, or possibly even the north of England. Was the meeting held here in 927CE because it was on Owain’s border, or did it still hold echoes of its impressive past? It’s possible that the Cumbrians and Scots got off lightly in their treaty with Athelstan. Shortly after Eamont Bridge, Athelstan arranged a meeting with the remaining Welsh kings at Hereford, and compelled them to pay an annual tribute of vast quantities of gold and silver, oxen, and hunting dogs and birds. But Athelstan didn’t have it all his own way. Seven years after Eamont Bridge, Constantine of the Scots rebelled. Athelstan sent his army and fleet north – some say as far as Caithness – to defeat Constantine’s army, and it seems likely (although we have no record) that Owain suffered the same in Cumbria and Strathclyde. Certainly we know that immediately after the northern campaign in 934CE, both kings were based in the south at Athelstan’s court, co-signing paperwork as vassals of their saxon overlord. This was when Athelstan decided he was ‘King of all the Britons’, adding the words rex totius Britanniae to his coinage. That still wasn’t the end, though. There was a famously vicious battle at Brunanburh in 937CE, when Athelstan went to war against Owain, Constantine and Olaf of York and Dublin. Five kings and seven earls were killed, including Owain and some of Constantine’s sons. Even after that, the Cumbrians refused to lie down and accept saxon dominance. In 945CE, Owain’s heir, Dunmail, led an army against Athelstan’s half-brother, Edmund. Dunmail lost, and went into exile. And the Scots? Constantine’s heir, King Malcolm of the Scots, changed his kingdom’s allegiances – perhaps he saw the writing on the wall – and sided with Edmund, the English king, in return for overlordship of their old friends’ territory in Strathclyde and Cumbria. These things are never simple, it seems. This entry was posted in History of Cumbria, History: Early Medieval, History: Prehistoric, Kings of Cumbria and tagged athelstan cumbria, cumbrian history, eamont bridge, king of cumbria, king owain, owain of cumbria, owain of strathclyde. Bookmark the permalink. I am Scotch, Irish, English and Welsh. As I understand it only the English are Anglo Saxon. I’m not sure what the Irish and Welsh are but I’m told they are Mediterranean White people as opposed to Nordic White people, like the English and Scots. I’m an American who is doing research on my ancestors and I wonder if you could clarify the differences between the British people? Are any of the British Alpine White people? I would appreciate any information about this. Hi there – I’m somewhat interested in the genetic differences between peoples, but am reluctant to engage in debate because many of the participants have strange agendas. The key thing, for me, to quote David Miles, an archaeological advisor to English Heritage is, ‘There was a lot of arguing in the late 90s and early part of the 21st century… but it is now more or less agreed that about 80% of Britons’ genes today come from hunter-gatherers who came in immediately after the Ice age’. We are far more alike than we are different. It’s important to distinguish between political histories and genetics of ordinary lives. The people in modern-day England came to speak the same language as the Anglo-Saxons, but make no mistake about it, the Anglo-Saxons did not arrive by the million and shove the pre-existing peoples out of the way – as those genetics show! Like all our invaders, they were a relatively small number who married the local girls. Thank you very much for the link and for the book information. I am very interested in this and I will definitely read the book. Many thanks for this fascinating article. I have been thinking of writing a fairly lengthy piece on the River Eamont on my Around-England blog. You’ve given me some ideas to add to my existing thoughts on Pooley Bridge, Dalemain and Brougham. (Don’t worry, you’ll be given credit! 🙂 ) Thanks again for an interesting read, and indeed an interesting stie overall, which I came across while searching for a news story on pollution of the Eamont. Glad you liked it, David. There’s certainly lots of interesting history in this little part of Cumbria – especially Brougham, as you’ve no doubt noticed! Another finely crafted post, Diane. I like the way you’ve connected it to current Anglo-Scottish politics – a comparison I hadn’t spotted before. The timing is perfect for me because, as you know, I went to Dacre last week to visit the site of the old monastery. But I’m inclined to go with your point about the long history of Eamont Bridge as a ceremonial landscape. When we think of 10th-century royal ritual we picture the Moot Hill at Scone, the Doomster at Govan and Tynwald Hill on the Isle of Man. If we’re looking for somewhere similar along the River Eamont the best candidate has to be the prehistoric complex of Mayburgh Henge and the Round Table, with the nearby ford at Eamont Bridge itself. I rather like the image of Athelstan and the northern kings pledging oaths around the standing stone in the centre of Mayburgh, with their retainers assembled in a big circle on the surrounding earthwork. The presence of abbots and bishops as witnesses would provide a sort of continuity with the sacred rituals of a more distant past. Hi Tim, you flatter me unduly! I’m sure the prehistoric complex at Eamont Bridge would have been far more prominent in the landscape in the 10th century, without the last 1000 yrs’ development. Even if they didn’t think of it as a ‘ritual’ place as such, it would have stood out a mile as a place where important things happened. I’m really looking forward to your analysis of the treaty; it seems to have been a pivotal agreement – despite everyone infringing its conditions – but we have such little detail on it. Also, apparently I can’t close tags, and I meant to say: great post! The geographical context of some of the dealings in the north is hard to get a hang of from this far south… and makes for an interestingly different tourist itinerary perhaps! Hello Jonathan! The only recent archaeology I’m aware of at Eamont Bridge is five trenches and a desk survey done a couple of years ago when some houses were being built. They didn’t find much, unfortunately, but then they were close to the curtilage of the henges and I don’t suppose any early medieval people would have set up camp exactly there – more likely along the original street, which is the main A6, under the 17th and 18th century houses. Well, thank you. I’m not very good at this sort of blogosphere stuff, but I gather this is what I’m supposed to do. In return you are to link to the blog that nominated you and nominate five other bloggers with less than 200 followers. 2.Reveal your top 5 picks for the award and let them know by leaving a comment on their blog. All of which have been on my links list forever, because you should all read them. Congratulations and thanks for the links – I subscribed to all of their RSS feeds. Yup, that’s what you’re supposed to do. Very interesting blog. One minor correction to your text Edmund was actually Athelstan’s brother rather than his son and succeeded Athelstan to the throne since Athelstan was unmarried and without children at his death in 939/940. Edmund too was succeeded by his brother Edred who reigned from 946 to 955. Yargh! Quite right, Ian. I shall go and correct that.